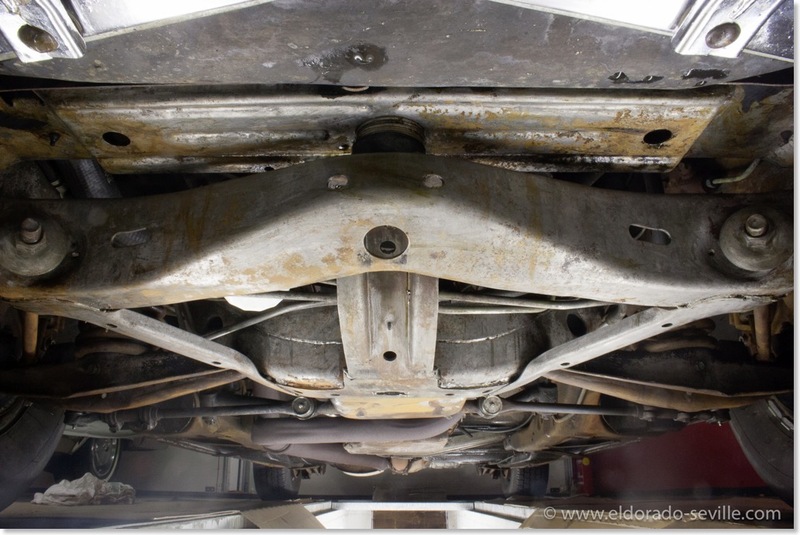 MY WINTER PROJECT FOR 2015/16 - I WILL FRESHEN UP THE 74s UNDERCARRIAGE! 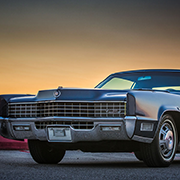 | Geralds 1958 Cadillac Eldorado Seville, 1967 Cadillac Deville,1967 Cadillac Eldorado, 1971 Lincoln Continental Mark III and 1978 Cadillac Eldorado Biarritz. MY WINTER PROJECT FOR 2015/16 - I WILL FRESHEN UP THE 74s UNDERCARRIAGE! 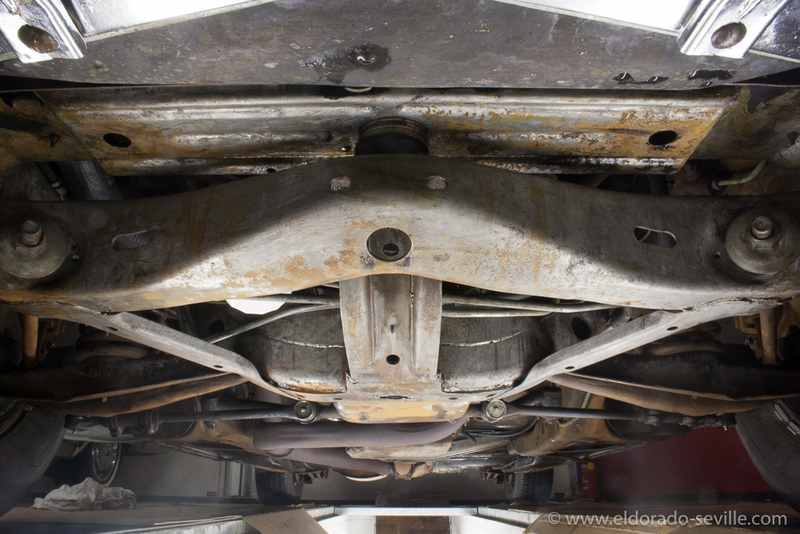 This is my winter project for 2015/2016: Cleaning the undercarriage of the 74 to look like new again. The plan is to remove the surface rust, change the shocks, do some brake work like replacing the brake hoses as a safety measure, change the heater core, rebuild the AC, change all fluids, give the car a good tune up, and to change the lights to be street legal to get the car on the road next year. The plan is to make the car to look and drive like new until next season. It's such a great car! 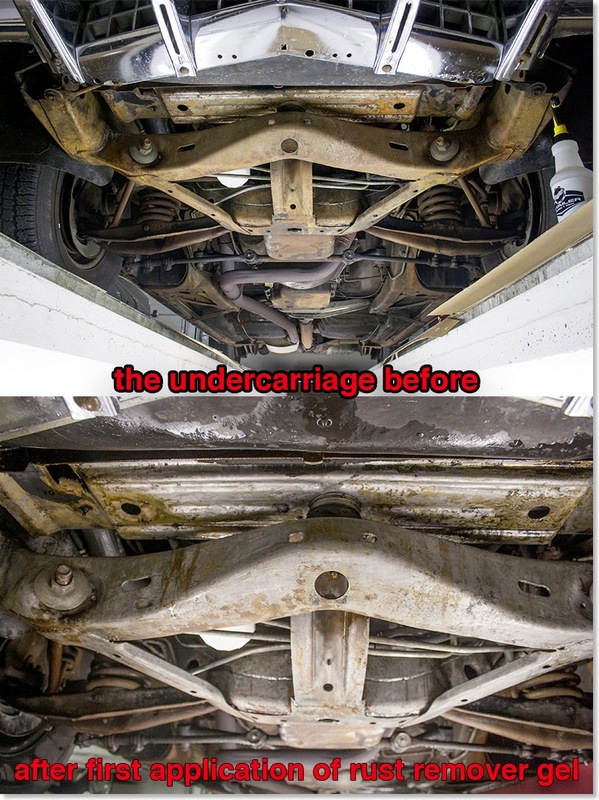 I think there are many different approaches for removing the rust from the bottom side of a car. My personal method and plan so far, was to scrape any loose rust off with a wire brush. I then steam cleaned the undercarriage. So a lot of manual cleaning is necessary after the pressure wash to get rid of the gel on areas I cannot hit during the pressure wash... I then applied the gel once again and did the same routine all over again. I will now mechanically remove the more stubborn rust with some pneumatic tools and wire brushes of various sizes I borrowed from my dear friend Richard. Once the rust is completely removed, I will use the gel for a last time. I will then use fine sandpaper to achieve a smooth surface of all metal parts. If afterwards there is still some minor corrosion left I´m planning to use a rust converter and rust encapsulator to paint everything. 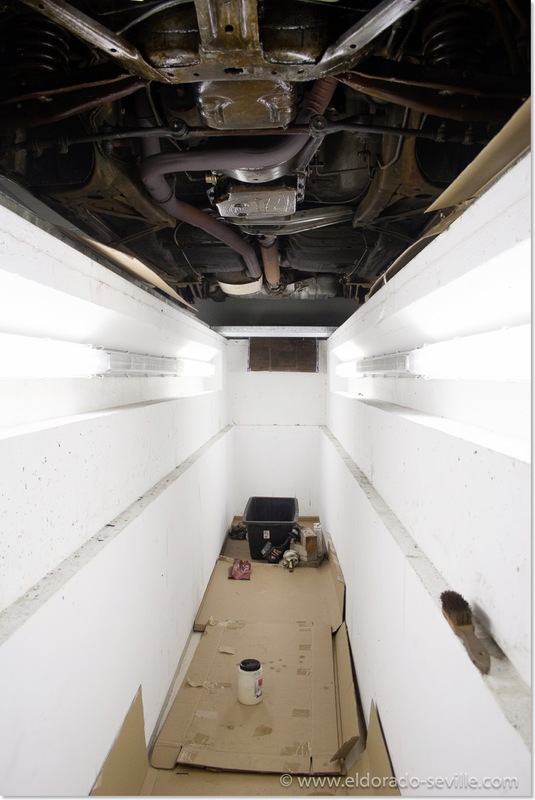 The oil pan and transmission oil pan will be painted in Bill Hirsch Cadillac blue again. I will completely clean up the fuel and brake lines as well. You can find all the pictures of the “Restoration“ here. 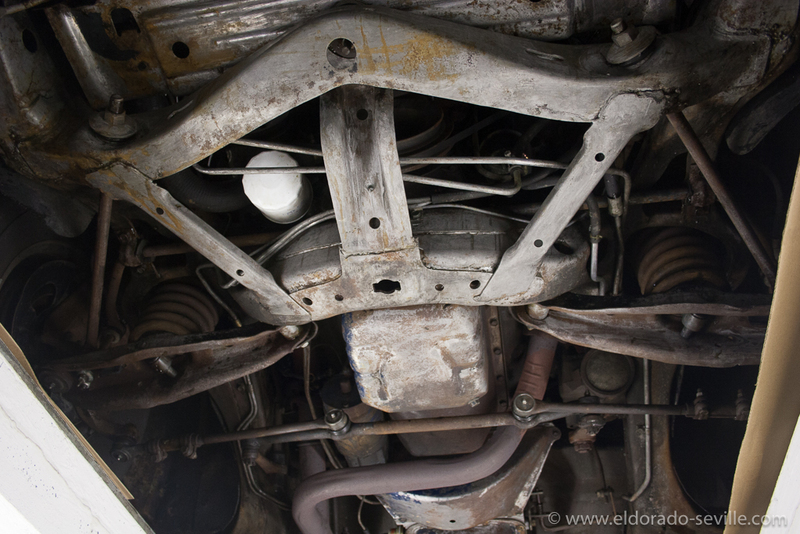 The 74 has some light surface rust on the undercarriage as most areas were left bare metal at the factory. The original owner did not have the car undercoated. Its nothing major - it is more a cosmetic thing than anything else. I want the car to look as good on the underside as it looks from the in and outside. I will remove as much rust as possible with a wire brush and then use rust removal gel to get rid of all the rust. It´s a messy job - but I want to do it as thoroughly as possible. After everything is clean I will paint the frame with rust preventive paint in semi gloss black paint. The pit in my garage - this is how I will see my car most of the time for the next months… You can see that I applied some rust removal gel to some areas already. I steam-cleaned the undercarriage before. A small test spot after only one application of the gel - 2-3 more are recommended. 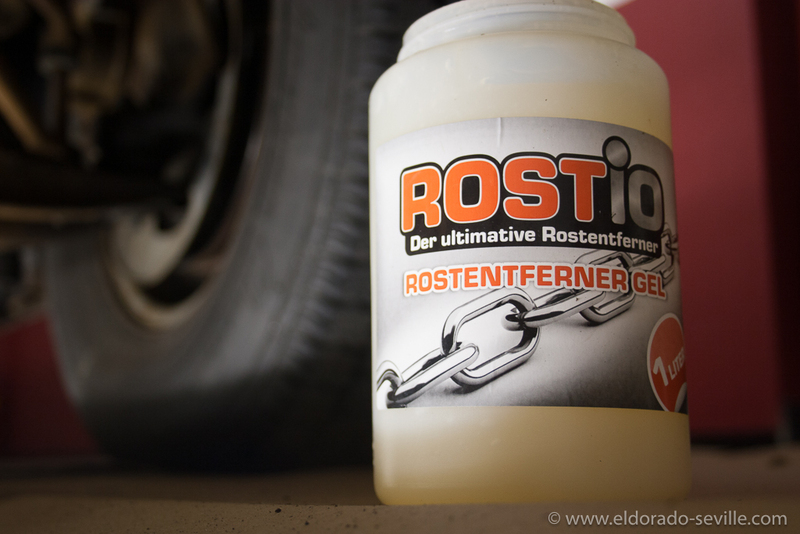 Thats the gel I´m using - it seems to be a great product. 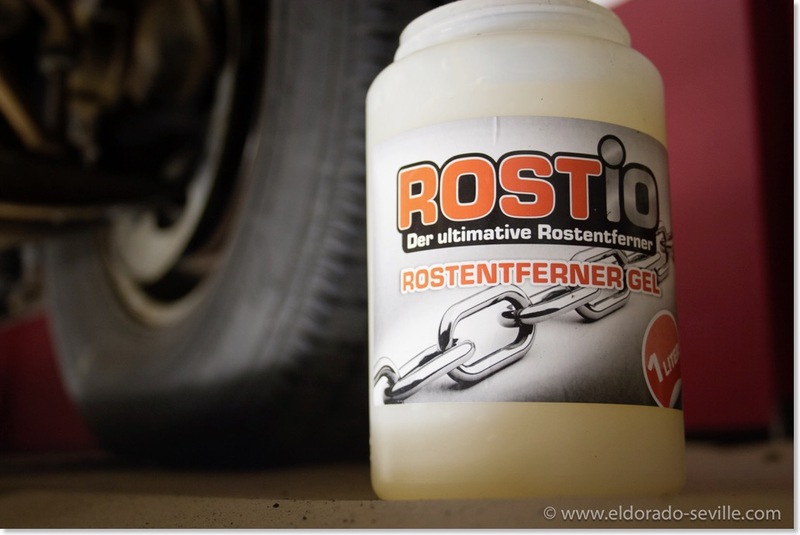 I got it through www.rostio.de . After the first coat of rust remover gel. It looks very promising.